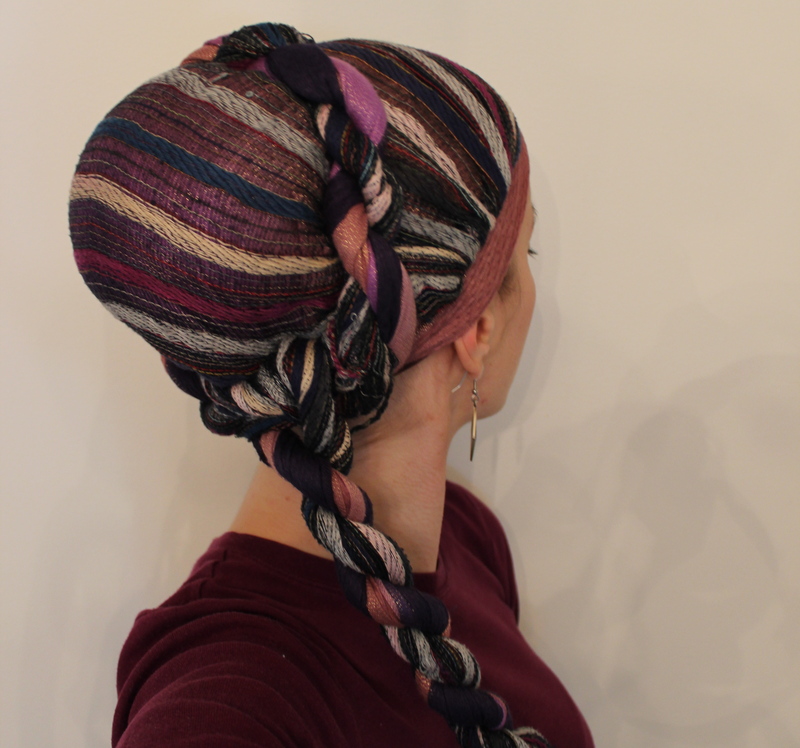 Here is how to do the much-coveted princess wrap! 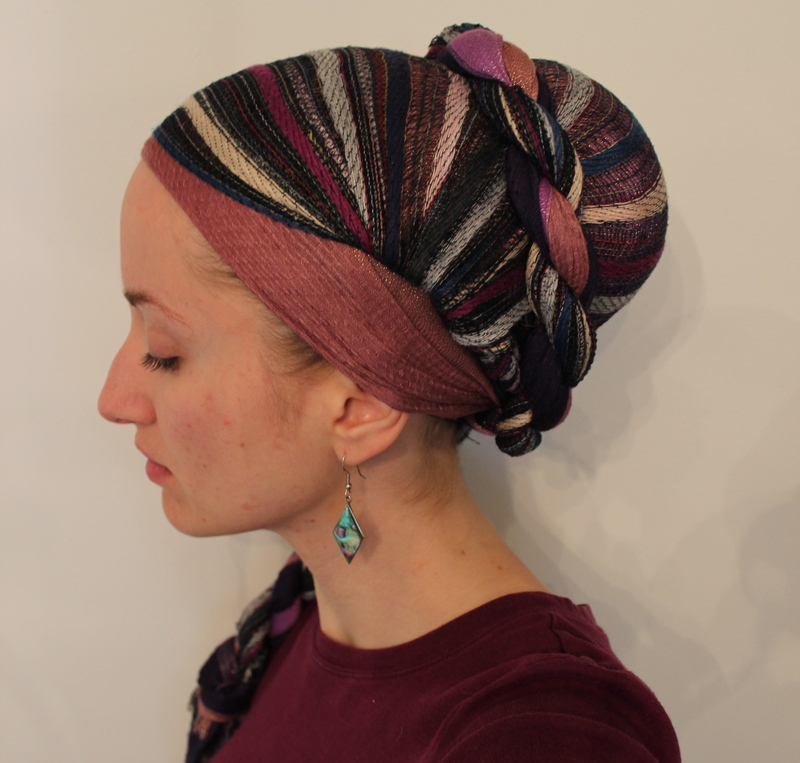 As you can see by watching the video, this wrap is very easy to do, provided that you have a large enough scarf to begin with (really, my “scarf” is just a piece of cloth). Instead of the lace, you can just use any other long scarf, but the lace makes it look much more royal. Enjoy! 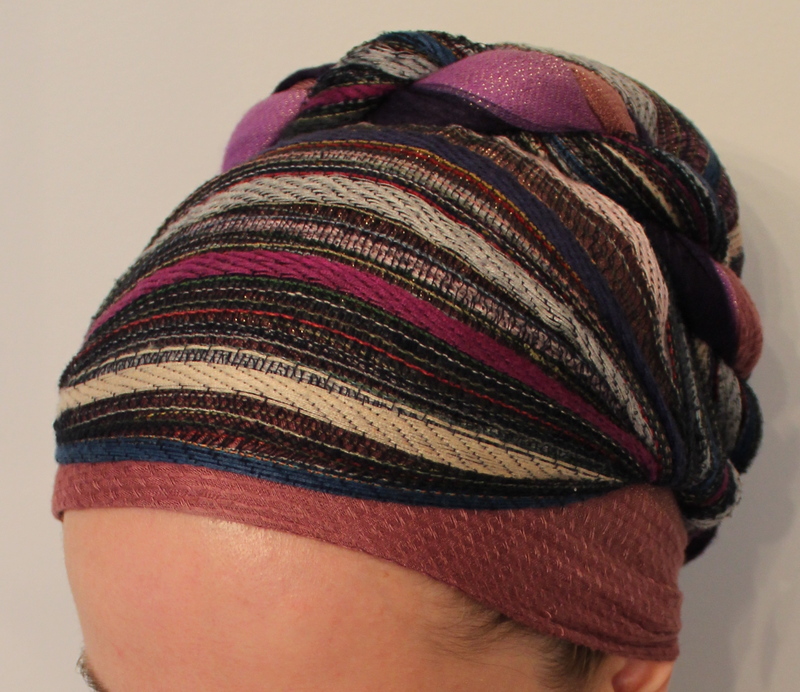 Keep in mind that infinity scarves vary by size, width, and material. 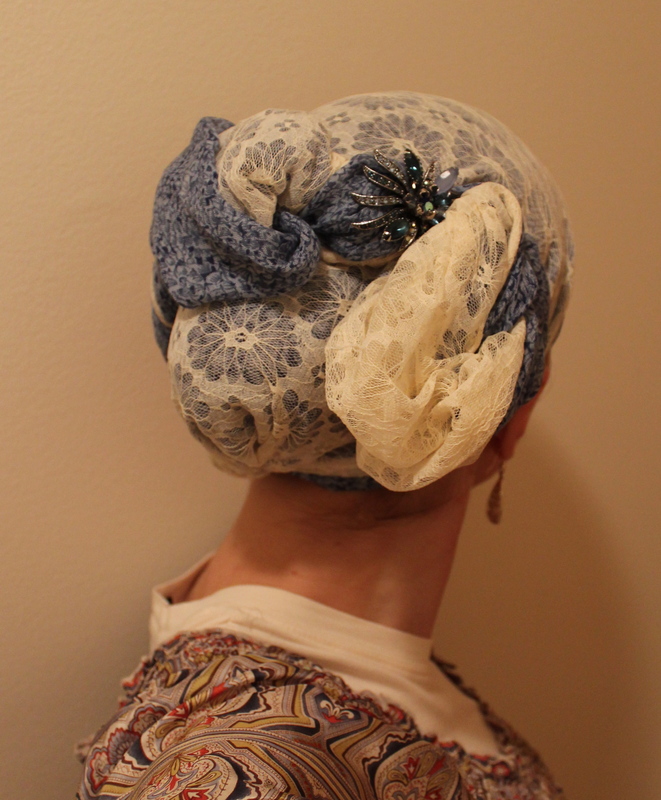 This particular one had two sides to it ( white lace and blue) and was not stretchy. This beautiful, sparkly, antique brooch held the wrap together perfectly. It is quite easy to do, and doesn’t require a volumizer or any particular hair length! Who wants a tutorial? You asked, and I have listened! Here is the first of hopefully many posts where clothing matching suggestions are included. Many ladies shy away from anything other than solid colours when covering; I know I used to! However, this need not be. As long as you use the scarf to pull out and enhance colours of your outfit, the scarf can actually allow you to wear MORE colour combinations than you previously would dare. I am looking forward to showing you how this is possible as I post more clothing advice. But I digress. Here is outfit #1! Often for my outfits, I pick the scarf first (because obviously that’s what I love choosing the most), but in this instance, the shirt was one I had been wanting to wear for a while, so that was picked first. 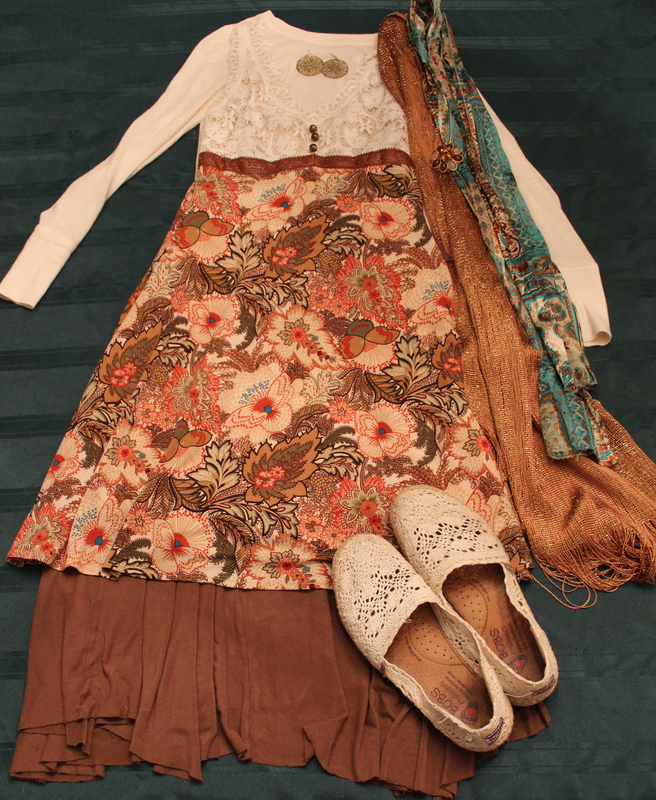 The brown skirt and layering shirt were easy choices, and the orange and gold scarf matched the shirt perfectly! 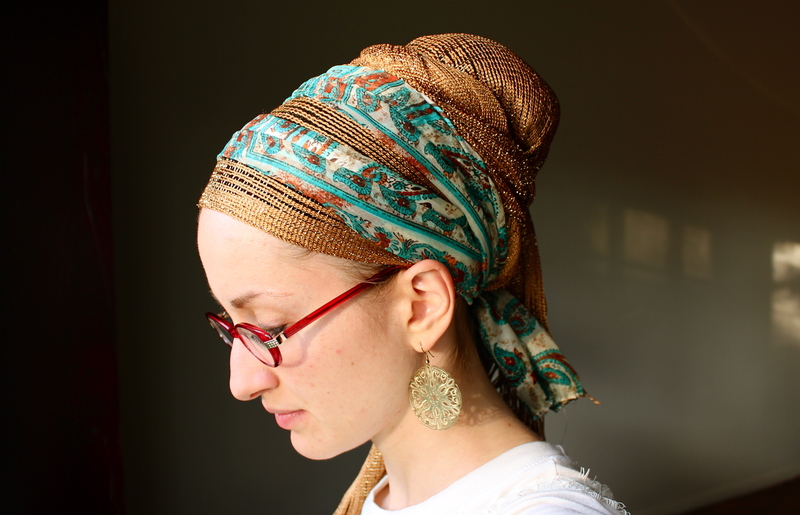 Even though the scarf has silver threads in it, the gold earrings and pin were a good match. I could have easily added a green sash to the scarf wrap as well. 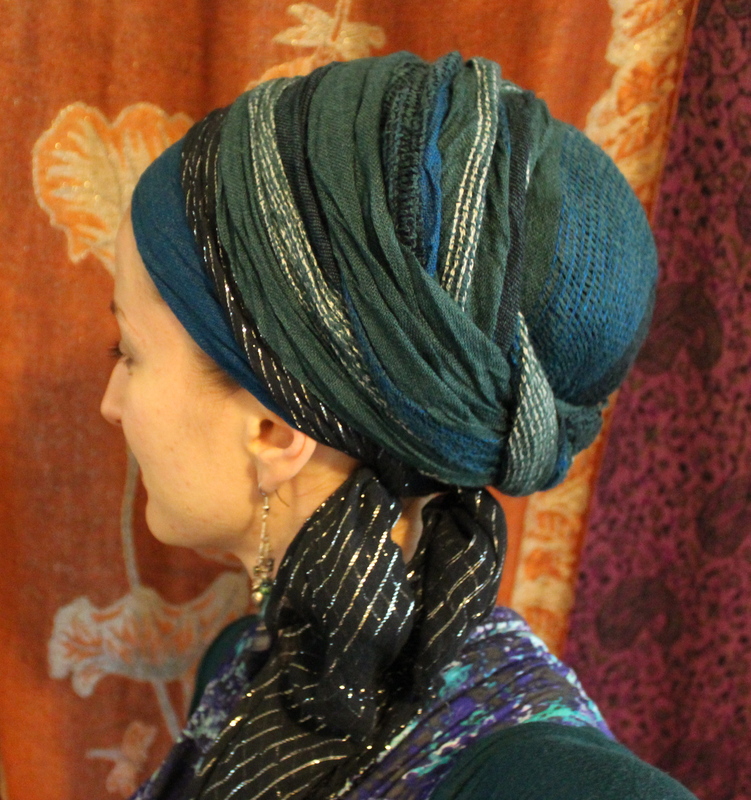 You may recognize the scarf as the background curtain of many of the tutorial videos. Remember? 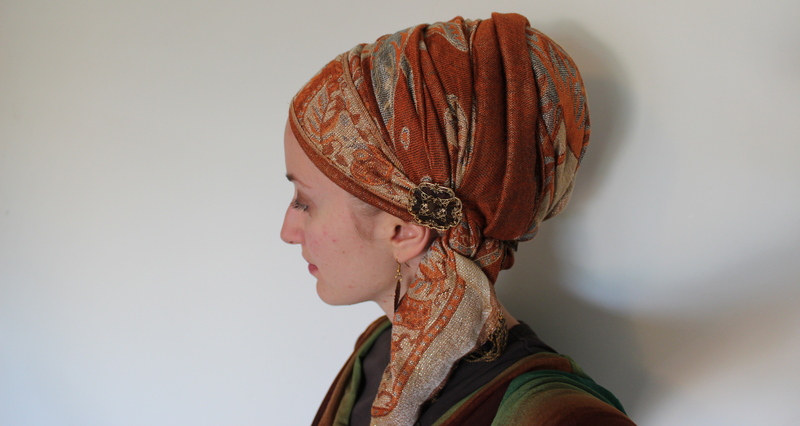 The scarf was wrapped in a basic pashmina regal wrap. Here is the result! I hope you are all doing well and having a lovely weekend!